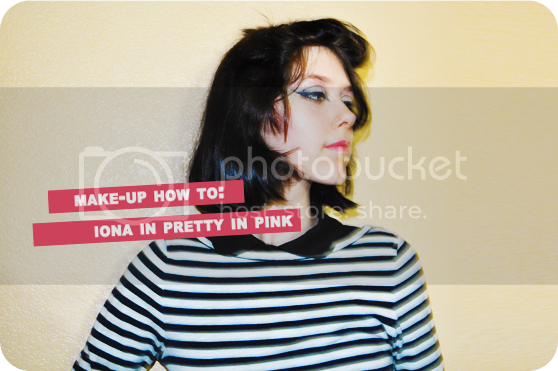 Caroline suggested I do a tutorial of Iona's make-up in PRETTY IN PINK. Being a huge fan of striking make-up, I jumped at the challenge. This is my first tutorial, and any feedback would be greatly appreciated! If you have any questions, feel free to ask. Prep your eyes with your favorite primer, and begin covering your eyelid all the way to the brow bone in a light purple shadow. Next, use a pink shadow on the crease and brow bone. Line your upper and lower lids with a fine pointed black eyeliner pencil - if you are more comfortable using liquid eyeliner, feel free to do so! End the lids with a cateye. Next, make a half-circle right above the crease. This can be rather tricky - I usually have to redraw the lines several times to get the shape I want. Reapply light purple shadow to lid and pink shadow to crease and brow bone. Finish with mascara and curl your lashes. Wow, so cute :) Follow!! GENIUS. my mum will love this, real amazing kailey- and your eyes are beautiful! Ahhh, you did it!! It came out fantastically :D pink and purple eyeshadow together is pefect. I'm going to give it a go soon!! Thanks for posting this fun tutorial! Awesome! I love Iona in Pretty in Pink! This is so awesome! It really suits your eyes. Thanks for this tutorial, it was really helpful! Great job on the tutorial. Your eyes look great. I'd love to try this out. How beautiful are you?! Some brow powder and a platinum blonde wig and you would be the spitting image of Iona! Great tutorial. Pretty in Pink is one of my fave movies -- loved Annie Pott's different looks in the film. Wow beautiful make up!!! I love it! You look amazing! I'm not much of a makeup person, but I appreciate the artistry! Love it! 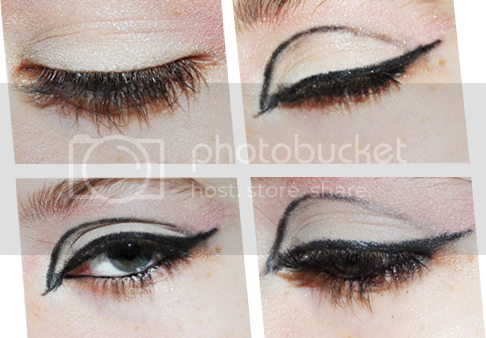 I'm so going to try this look, thanks for the tutorial! This is awesome! Pretty in pink is the best. "I don't want you to see where I live, ok???" Or something. She should've gone off with Ducky, but whatever. This makeup is really cool, great job. And I just discovered your blog and it's cool. this is so cool! i love Iona so much! pretty in pink rocks! i am terrible at makeup, but i will have to try this sometime! your blog is so unique and different i love it! and read your about page and oh how i love to travel - It's been this weeks theme . I love this tutorial, its the first one that actually makes sense! I am going to try it for the Christmas party I'm going to!